01 Toriyama K, Suzuki T, Inoue T, Eguchi H, Hoshi S, Inoue Y, Aizawa H, Miyoshi K, Ohkubo M, Hiwatashi E, Tachibana H, Ohashi Y: Development of an immunochromatographic assay kit using fluorescent silica nanoparticles for rapid diagnosis of acanthamoeba keratitis. J Clin Microbiol 53:273-277,2015. 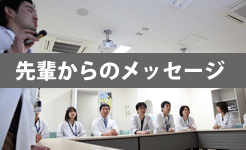 03 Eguchi H, Toibana T, Hotta F, Miyamoto T, Mitamura Y, Yaguchi T: Severe fungal sclerokeratitis caused by Metarhizium anisopliae: A case report and literature review. 06 Iwata A, Mitamura Y, Niki M, Semba K, Egawa M, Katome T, Sonoda S, SakamotoT: Binarization of enhanced depth imaging optical coherence tomographic images of an eye with Wyburn-Mason syndrome: a case report. 08 Nakamura Y, Mitamura Y, Hagiwara A, Kumagai K, Miura G, Sugawara T, Egawa M, Yamamoto S : Relationship between retinal microstructures and visual acuity after cataract surgery in patients with retinitis pigmentosa. 09 Farouk MM, Naito T, Shinomiya K, Eguchi H, Sayed KM, Nagasawa T, Katome T, Mitamura Y: Optical coherence tomography reveals new insights into the accommodation mechanism. J Ophthalmol 2014;2014:510459. 10 Hotta F, Eguchi H, Imai S, Miyamoto T, Mitamura-Aizawa S, Mitamura Y: Scanning electron microscopy findings with energy dispersive X-ray investigations of cosmetically tinted contact lenses. Eye Contact Lens (IF=1.466) 41:291-296,2015.